Q: I have been playing bass for a while now and when I play covers, I usually create my own lines for the song (unless it is an integral part of the song, like “Another One Bites The Dust”). I tend not to worry about learning the original bass line. Lately, I have been thinking that my approach may be limiting me as a bass player. What are the advantages of learning recorded bass lines note for note? A: I took the very same approach for much of my life when learning songs for a gig. Like you, I would only worry about being overly specific when the bass line was a part of the hook or seemed particularly built into the structure of the song. Otherwise, I would just cop the same feel and do my thing. A drummer I play with regularly (who has an incredible work ethic and learns every little part of every song he plays with any band) would frequently point out to me different things that he missed in the line that worked well with the groove, or even just little licks and variations that he thought were cool. I would be forced to admit that I didn’t really learn the bass line, just got the changes and feel together. As an experiment, I decided to really put in the time while shedding for a one-off gig and learned every bass line note-for-note as well as copping certain licks or variations. Basically, playing a transcription of the tune. While I still maintain that unless the gig calls for exact duplication, it isn’t always necessary to learn every song note for note as played on the record. Sometimes, even the original band might not even play that song in exactly the same way every time, anyway. But I did notice that I learned a lot more in the process. Learning another player’s line with precision and attention gives us insight into the approach of another player. You will probably find you frequently come away with cool lines, shapes, inflections or approaches that you might not have ever thought of on your own. This is where you discover what transcription is really about when applied as a learning tool. It is about gaining insight into the creation of music from someone else’s perspective. If we only ever do things our way and ignore what others have done before us, we very well may have an individualistic style, but it would likely not be a well rounded approach. As a freelance musician, it is practically in our job descriptions that we need to be well versed in style, tone genres, and so on. Learning other player’s exact lines gives you a broader palette to draw from when coming up with your own lines. 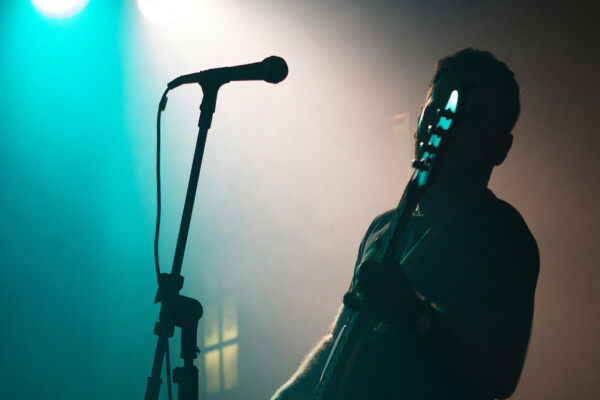 On the gig, if it’s not intended to be a tribute or exact duplication type of cover gig, you may very well take liberties or change your approach and lines altogether. I think music is a living thing and is meant to be interpreted (when it is appropriate to do so). If someone calls a James Brown tune or a Chaka Khan tune, I will likely start with the exact bass line or a close approximation of it. But if we’re just having fun and making music (not trying to pretend to be James Brown’s or Chaka’s band), I will likely start to interact musically in my own way as the tune evolves – without changing the overall feel or vibe unless we decide to go there collectively. Whether or not you take that approach in a live setting is very much dependent upon the band and type of gig it is. My personal feelings (since the last two years have been pretty heavy on doing covers) is sophistication versus proliferation. I often find the coolest basslines in the weird places and then I might look up who did what. There was a stint with a country band where we were playing a bunch of Jason Aldean tunes and I had no idea how serious some of these Nashville studio guys were about playing bass, or that most of them have masters/doctorates in composition and performance. So learning some of those lines became a masterclass within itself not only in technique and composition, but form, melody, rhythm, harmony, counterpoint, all that good stuff. And if you had asked me a year before I started that gig, i would have told you most country music is BS anyway. Thus, I learned my lesson pretty quick. What I mean by proliferation is that there is a ton of tunes out there where you’re literally playing something written as a loop in a studio somewhere. You could probably learn the whole line in ten minutes and nobody would know the difference. But spending time on those tunes where you hear something special or a little bit different, you’ll go to school whether you wanted to or not. I also do quite a bit of reading for musicals. After a while I might add my own flavor if it’s apparent that the number of people we have in the pit is significantly less than the recorded versions to fill in the space. People generally don’t tell me to play less unless it gets in the way. Often I’ll double a part from the recording and people find that helpful in one way or another, as long as I’m also filling in the foundation role for which I was hired. I know what you mean about the bassists down in Nashville. 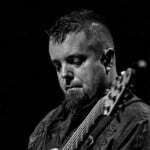 I played in a contemporary country band for 5 years and learned well the styles of bass monsters such as Tully Kennedy, Jimmy Carter, Victor Broden, and the like. If the original has a bass line that can’t be improved on learn it note for note or at least close enough to maintain the songs mojo. OTOH, don’t assume that the original bass player was all that good. A fair amount of material can benefit greatly from a re-invented bass line..
I’ve found that a lot of times the note for note bass line doesn’t fit if the rest of the band is not note for noting so well. More “groove for groove” than “note for note” really. Groove is always king. I’ve heard a lot of bands attempting the note for note thing and they’re sterile, soul-less & boring. I’d agree that transcribing stuff can be very educational. OTOH, I don’t think that’s the approach of a lot of classic “roots” music. It’s a left brain vs right brain sorta thing. Which is better? Both. Neither. Went to go see a jam of my favorite songs from a local cover band…they jammed the whole thing and they were sterile, soul-less & boring, They didn’t even have the skill to play the song, let alone to improv well… Id rather have a Band that actually learns the music.. This always works for me: I learn the song note for note first, then once I can play it, I start “altering” it to fit what I want to express at the time. It gives me the best of both worlds.. as I could not agree more that sometimes learning it note for note can be quite an educational experience, then adding my groove makes me feel like a part of the whole. I totally agree this is the wisest approach while serving the song, and contributing to your own growth as a bassist. Agreed, I do the same thing. I’m a pretty terrible musician but I’ve found that I’ve been able to improve a basslines more by first understanding the original then adding my own touch. It oftenbtricks people in to thinking I’m better than I am and has helped me improve my limited skill. I agree. I am kind a purest and stickler when learning someone else’s songs and it doesn’t feel right to not play as they did initially. My experience also shows that once I really learn a song or part from all angles and digest it then it naturally turns into a mesh of the original work and me. Even if I do play it as written its me not them and will have a different personality. Thanks so much for your response. This confirms what I was thinking, I think one of the issues for me was having a lecturer at college that would tell me I wasn’t playing melodically enough even if the original bass line was just root notes so I started to create my own that had similar feel and groove but with added melodicism and then I just used this approach on all songs that I learned and I have been feeling that I was missing something. You should be able to do both. If you perform enough you will eventually be required to do both. 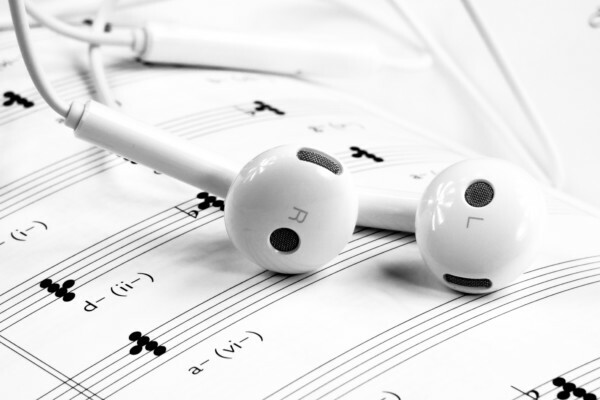 You should also be aware of when a song has more than one popular version. Case in point: I was sitting in with a jazz band and knew they did “So What” and “Afro Blues.” So I woodshedded with YouTube to get the songs down. Got to the gig and it turns out that the band did the Marcus Miller arrangement of So What. Afro Blues was done pretty straight, whereas I had worked it up more like a bop piece. So, in both cases I had to adjust at the gig, as there were no rehearsals for this job, just 3 hours of sitting in on the fly. Something else as well: Be able to read on every instrument you expect to play for money. I had a friend, a very competent bassist, who has booked for an electric bass gig. As he was more comfortable sight-reading on string bass, that’s what he showed up with. They fired him on the spot. Expect everything, learn all you can. I think context is key for this discussion. I play a lot of metal and hard rock songs with written parts, and those songs suffer if they are not played precisely. “Something” just isn’t right. The same seems to hold for Bob Marley tunes, but to a lesser degree. Then I pick up the occasional “lighter” gig, and those songs beg for interpretation and improvisation, jazzing it up to borrow a phrase. I think the ability to learn the exact part is crucial, and to know when to leave it behind equally so. Yet another very insightful article. By studying Paul McCartney, James Jamerson, and now Bootsy Collins/James Brown era bass lines I’ve learned some things. For example, I can pick up a Beatles bass line somewhat effortlessly because I’ve practiced scales and modes. Paul never leaves them, and he tends to do a lot of slides, which I like, as well as changing keys in the middle of a song. I tend to use more ghost notes now learning James Jamerson bass licks. Although the bass lines to James Brown songs are relatively simple, the music is tight and you have to stay in the pocket like a metronome for long periods of time, which is not easy but it builds stamina. Thanks again for your insight, knowledge and wisdom. I am in a band that tours, called CSNsongs. Needless to say the bass lines have to be close to the original tunes, especially the signature lines. However, there are some tunes where I can show ofy own stuff, so to speak. When playing with musicians that can really play, this copy thing is seldom an issue. We all seem to find the best we can do with the parts, and then play. I have played with a lot of great guitar players, but not one of them actually sounds exactly like Jeff Beck. Not one singer sounded exactly like Chaka Kahn. A lot of times the key gets changed and that alone can totally change the vibe of a song. I have played with bands that tried a cover and dropped the song, because even though we had the parts, we didn’t love it. I’ve been in bands that had players that could really copy the exact part, but often times, they couldn’t play the blues. It felt like a “paint by numbers” band. I think it ends up being a matter of musical common sense, and good taste. This is what I do – if it is for one of those ‘learn fifty songs by Friday gigs – it is a fast and effective method of charting out a song that gives me song structure with parts and chords. Then I take a Fidolino roller stamp that makes staff lines exactly where (and how long) I need them and I will chart out the first bar (or 2) of the groove of each section – getting the gist of the groove without variations. Then I will write sim. (for simile) or … . If there are cool fills, unison lines or parts that just draw me in, I will transcribe those, too. Modulations, Keylines, drop outs or meter changes? Highlighter! Basically, those charts are so accurate that if I came back years later, I should be able to nail it, gist of the groove with signature parts and fills. I use Tanscribe! for transcribing, which totally rocks. Loads of key commands make it superfast. I think a big consideration is your audience. If they are a typical musically uneducated one, like in a bar, you need to be careful. They may be uneducated but they know what they like and what they are used to hearing, the original. In that case, I think you need either play note for note to give them what they’re used to, or go the opposite direction and make the song totally your own. If you do that, even the musically uneducated will get it that you’re doing your own thing and if you do a good arrangement, they’ll like it. However, if you just tweak a song, they won’t get it and think you’re attempting to copy but failing. Here’s another point. I replaced the original bass player in a national touring band when he retired. As Damian said, even the originals don’t always play a song the same every time and the original bassist didn’t. However, being the original, he could get away with it because he was the original. I’m not. Audiences want me to sound like the original, so I am more limited and have to copy the recordings. This year, we released a new CD that I played on. I have already modified my own bass parts live. Now I can get away with it on those songs but I still have to copy the old songs. I agree with most that sometimes you have to play every note and sometimes just improvise. After all, the same notes do not equal the same feeling or similar performance. And it is relieving that many times the audience wants a fluent show instead of precise reproduction (which is often downright impossible without strings and choir and brass and…). One book that I found from a library was Tim Ferguson’s Bass line encyclopedia. Nice set of very different styles from different musicians. Helped me with many styles that I have tried to figure out. Just do not play all notes, but right notes – and those important rests. I usually take a hybrid approach, understanding that I am constantly “learning” the bass line over time. For early performances of a song, my bias is toward getting the feel right while not necessarily playing the original line note-for-note. As I listen to the song more and as we perform it more over time, I tend to hear the original bass line more clearly, and begin to hear nuances I didn’t before. At the same time, my confidence in playing the song has increased and I’ll push to learn the original line more closely. IMHO, and given the covers that I’ve preferred to play for the last 35 years, I find that I try to hit it note-for-note every single time. I’ve been known to, on occasion, meld 2 or more original versions together, (like a live recording and a studio one), but if I’m doing covers of guys like Geddy, Geezer, Steve Harris, Dave Hope, or Fran Sheehan, I want to be able to inflect ALL of the interactions and nuances between the drummer and myself. If WE can sound just like Rush, or Sabbath, or Maiden etc, then it’s far easier for the rest of the band to follow suit. I also think that once you’ve attained the ability to emulate a series of great bassists, you are sure to have acquired the scope and vision to do your OWN thing on your OWN material with your OWN style…… IMHO…. Learning note-for-note is a great discipline. When I first started playing bass, I did everything note-for-note to impress myself mainly. It was important to me to show that I could accomplish it. My most iconic effort in my early years was a Return to Forever song “Duel of the Jester and the Tyrant” from Romantic Warrior album. It was way beyond my skill level and took me a looong time to learn and remember but it was a favorite and it was as fun as it was difficult. Note-for-note playing is also good for ear training and muscle memory. For covers, I generally employ combination of the original bass line and my own version. 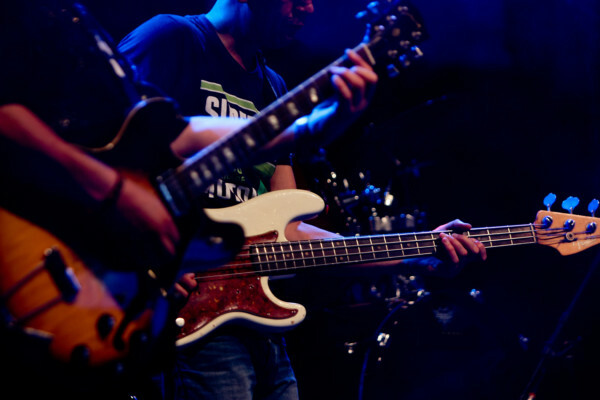 Obviously if you play a song where the bass line is an important part of the hook, you need to stay with that but that doesn’t mean you can’t play with some variations. For instance, The Beatles’ “Come Together” and McFadden & Whitehead’s “Aint No Stoppin’ Us Now” are two different songs, rock and r&b respectively, where the bass line dominates the song. You wouldn’t even recognize those songs without the bass lines. Makes more sense to stay with the prescribed line than to simply alter it but that doesn’t mean you cant have fun with it after a couple choruses. Change part of the riff every fourth pass. Try an alternate minor/major for a bar or two. Just remember to bring it back. There is so much to learn from emulating the classic rock players. Their music has stood the test of time. I liken it to the respect people have for classical musicians. You don’t hear Yoyo Ma coming up with his own lines. The music works a certain way and is great because of the sum of its parts. Change that and you’ve changed the song. Note for note? Not always, but always a close approximation. I come from a background playing classical on the cornet. So I switched to bass in my 20’s I assumed an accurate representation of the song was required. The only time I didn’t was either I couldn’t hear what they were playing, or didn’t have the skill. After many years I still do the same thing. The only time now I change a bass line is when, to be blunt , the line is lame, and more color bass line would enhance the song. Otherwise, I look at the line as a chance to learn something new. Since I have played covers from time to time throughout my career, I too find it to be beneficial to learn the bass line as originally recorded first. Once I have the compete song under my belt I am free to explore new ways to interpret the song via my own artistic expressions without losing the integral bass line of the song, and losing the audience as well. Now…If the singer(s) wish to put their own spin on the song and interpret it differently than the original, I will be more than happy to create bass lines that add to the uniqueness of this new arrangement. I’m inclined to learn a tune note for note, then use that as a springboard towards creative yet informed improv. Learning note for note has one drawback, and that is that of what constitutes the definitive performance…. the original players rarely seem to play songs exactly the same. I can’t even pull off my own bass lines note for note. personally learning things not for note helps me to break away from my own routines but not everything is black and white. if im learning a song from a jam band perse where the bass lines don’t feel well thought out than I will just learn the bassics and improv the rest.